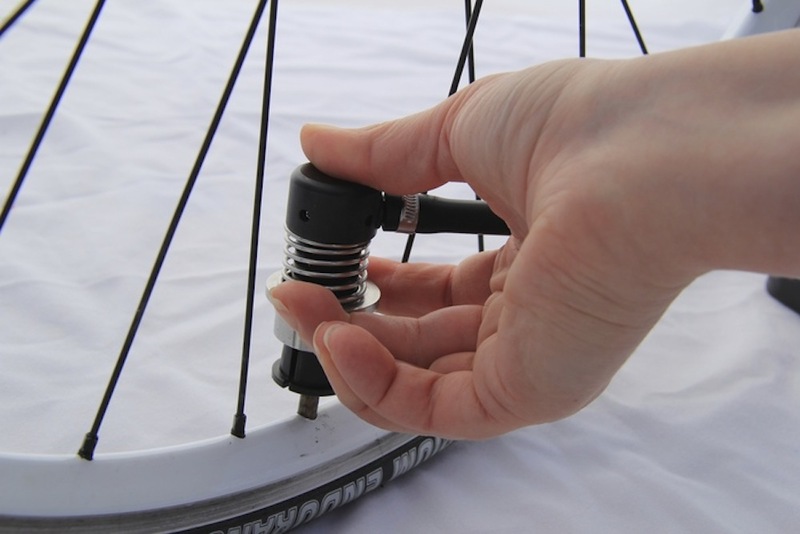 Hands up if you’ve ever been out for a ride without fully inflating your tyres, simply because the hassle of attaching the pump wasn’t worth those few extra psi? Well, Cliff Currie and his buddies in San Diego, California, have come up with the Rapido Pro pump head, which makes it easier to attach the pump to the valve. Currie’s main gripe with traditional pump heads is that two hands are often required to both clip the pump on and then secure it in place with the lever. Therefore, the Rapido takes advantage of a spring system that can be operated easily with one hand, using the main muscle groups in the human hand. Simply pull the spring up, place the head over the valve and let go of the spring to attach it to your tube, then start pumping away. Reverse the motion to remove it easily – using only one hand as well. 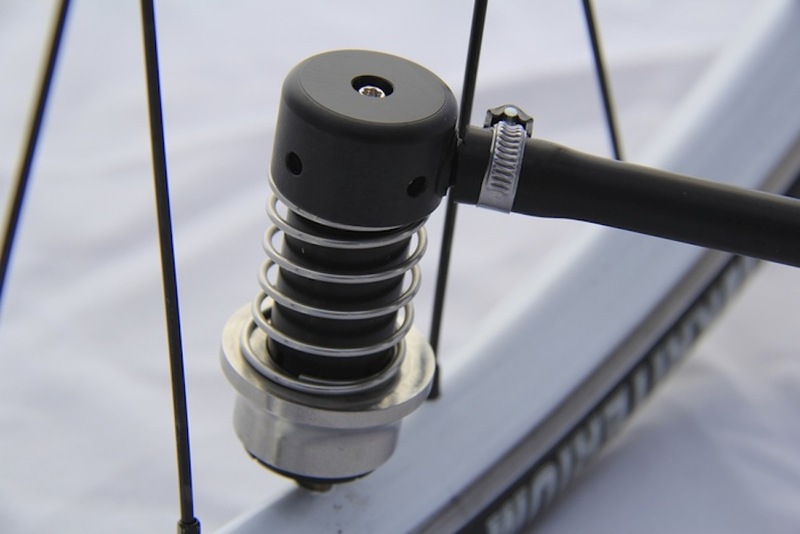 The Rapido claims to fit both Schrader and Presta valves using the same pump head, eliminating the need for small and flimsy converters for your pump. Currie and co are searching for $35,000 backing on crowdfunding website Kickstarter. With 26 days to go they are already at the $9,000 mark, with an investment of $59 getting you a full Rapido Pro pump when the production run is complete.